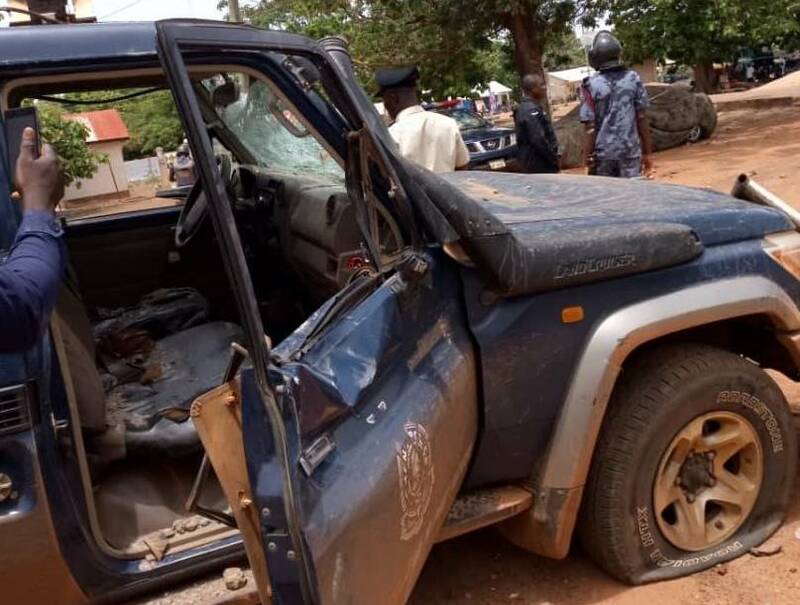 Some irate youth of Tumu in the Upper West region have attacked the local police station and vandalised property following disagreements with the police. The attack followed the alleged drowning of one Kanwe Hanidu, said to be part of a wee-smoking gang whom the police were chasing on Thursday. Hanidu together with some members of the said wee gang were said to have dived into the dam whilst the police were chasing them and he drowned, according to the Upper West Regional Police Commander, DCOP Okyere Boapea. ent, accused the police of causing the death and besieged the police station on Thursday night but DCOP Boapea said the police were able to disperse them at about 7pm. May 19, 2018 in Local News. ← Tension in Tumu, 1 Dead; others Injured.